Choosing the Right Kitchen Cabinets | 41 Lumber - Serving Iron Mountain and the U.P. Choosing the right kitchen cabinets is essential to creating the perfect kitchen and adding value to your home. Kitchen cabinets are a long-lasting feature and they contribute the largest design element to the kitchen itself. When you walk into a kitchen the first thing you want people to notice are your cabinets, because kitchen cabinets can define your entire kitchen! There are two types of kitchen cabinets: face, and faceless. Face cabinets or face frame cabinets are a traditional cabinet in most American homes. Face frame cabinets are built with a supporting frame attached to the cabinet box. This frame is built so that drawers and doors may close against it. This gives the kitchen and the cabinets a more conventional look. Faceless or frameless cabinets do not have the supporting frame attached to the cabinet box. Faceless cabinets are a European style of cabinets with the doors of the cabinet hinged from the cabinet sides. The missing frame in the middle provides easier access to shelves and drawers. If you want to add a more modern look to your kitchen, then faceless cabinets are the right choice. Modern cabinetry is typically frameless and constructed from man-made materials making them easily customizable. When choosing kitchen cabinets there a few important things one should know. Basic cabinets lack deeper shelves and adjustability, but are the most economical. If you are looking to save money, look for the cabinets that offer deep shelves and adjustable shelves in the upper cabinets. For those looking to spend a little more, go for the high quality cabinets. When shopping, choose the faceless cabinets that feature storage trays that pull out on strong drawer sliders. Picking the right doors for your cabinets are also important. Cabinet doors have two basic options. They can be solid or have glass inserts. Each option comes with a variety of styles and can be customized if need be. For those looking for something durable and low maintenance, choose stainless steel cabinets. Stainless steel cabinets are durable, easily installed, and never need to be repainted or refaced. If you are looking for kitchen cabinets that are truly unique and cater to your ever need, then custom cabinets are the right choice for you. 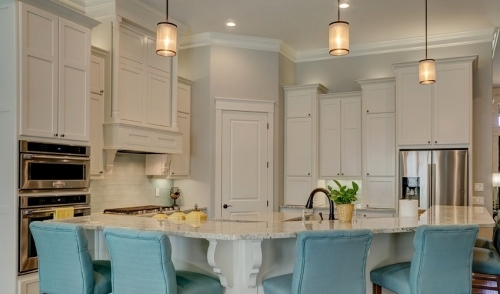 Custom cabinets cost the most, but they also add the most value to your home. The look of your kitchen is what separates your house from others. When homebuyers search for a home, the look and size of the kitchen are the two most important factors. Choosing right kitchen cabinets will increase the value of your home, and define the style and function of your kitchen.